since my last post, so snowy and wintery, how are you keeping?! Can't believe it's the end of March already!! Well, I've decided to step into a new me, a better and positive me, as I been telling you about on my @styletraces instagram too - here! Started with a new fresh haircut, slowly stepping into a new energising diet and valuing even more each step of my skincare routines!! 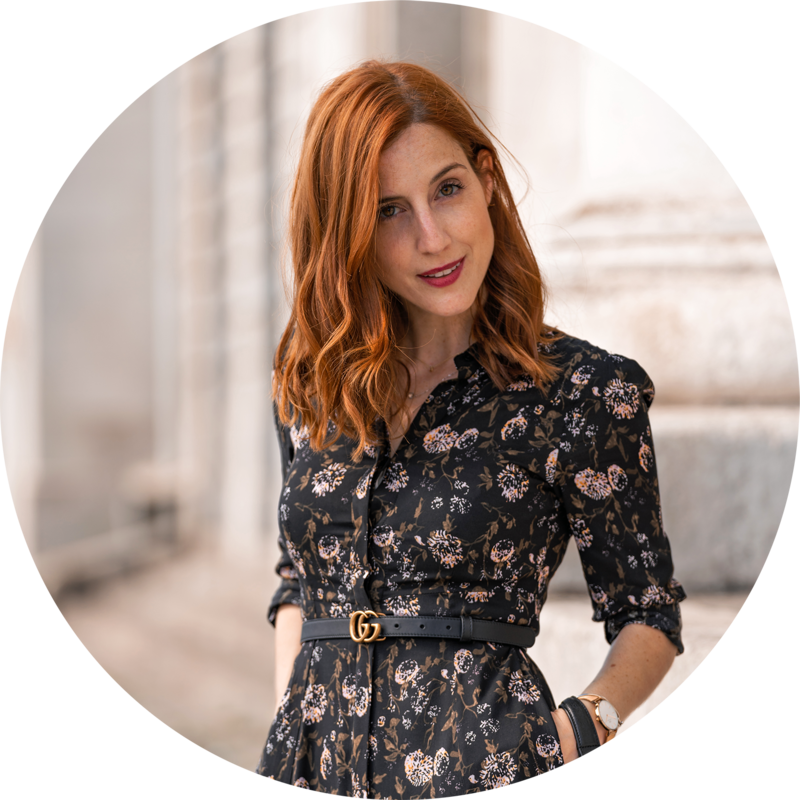 As I've a sensitive and reactive skin, before stepping into a new brand or new routine I always love to test it on my skin for a day or two - sometimes a week, to see how it reacts first and, only then, I feel good to move into the new changes. 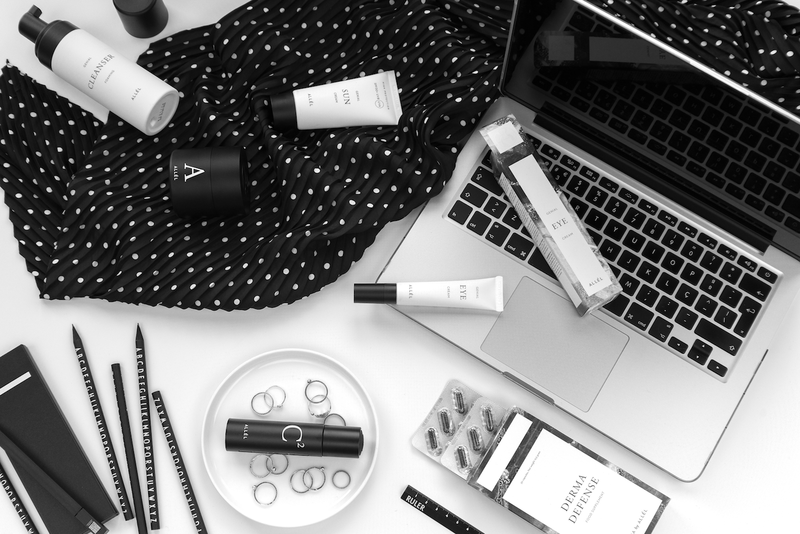 Today, I'm here to tell you about my new experience with ALLÉL® - "THE DNA MATCHED SKIN CARE"
the beauty routine that starts with a DNA test! I need to confess, that I was already amazed with how skin consultation started - with a DNA test!! yes, you read it right!! DNA TEST!! Have I told you that, when I was a little girl, I dreamt about being a rocket scientist?! so, I get fascinated with all lab and scientific details, that's why I LOVED the ALLÉL® presentation, back in December in Beacon Face and Dermatology Clinic, when we did a DNA test to know our ageing genetic factors, (nothing scary, just a swab from the inside of our cheek) to then match with the results based on our lifestyle and visible ageing signs. 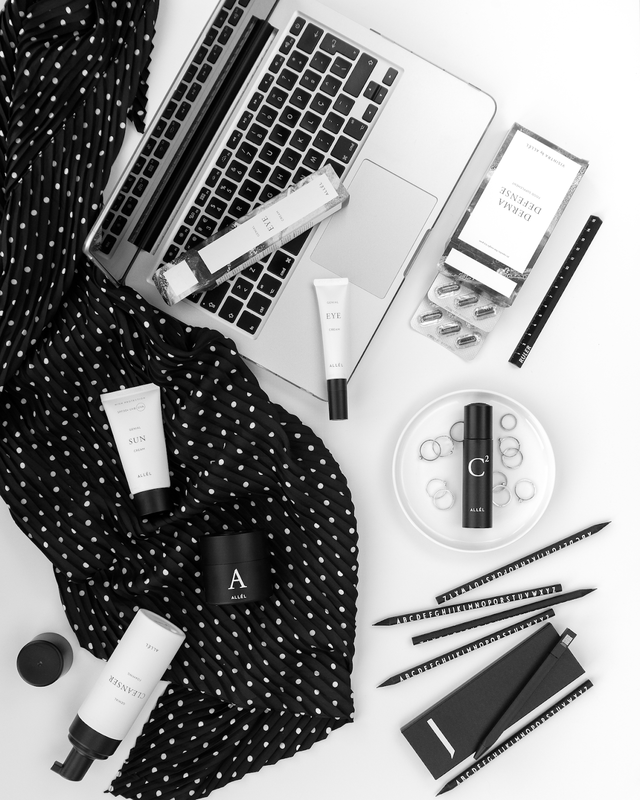 How amazing is to have skincare products based on your DNA?! it turns it really special and powerful, as some studies points to 60% of ageing depends on genetic factors. I was pretty curious about my results, I already knew that my skin is reactive, that my auto-immune disease doesn't help much on having a bright skin but I was curious about the DNA and about what they had to tell! "- I have a NORMAL risk with regard to breakdown of collagen, the so called normal ageing. Collagen and elastin are the most important components in the skin, that allows it to look firm, youthful and wrinkle-free. - I have a NORMAL capacity to retain the flexibility in collagen and elastin. - I have a NORMAL risk of ageing due to UV exposure - although, always need to use protection and be careful in the sun! - my body's anti-oxidative capacity is overwhelmed so, free radical damage is a MODERATE DRIVER in my ageing and may be further aggravated by pollution, stress, smoking and UV exposure. Being free radicals reactive molecules that harm important cellular structures in each layer of our skin. - I have a NORMAL ability to handle inflammatory response. Being inflammation the natural response to external stimuli that may harm the skin." - due to have lived the most part of my life in a sunny country as Portugal, my skin shows some signs of ageing as pigmentation and wrinkling. - having a fair skin tone, the risk of UV damage is naturally higher. - although my DNA analysis show a normal genetic ability to handle inflammatory response, some of my life factors, as having an autoimmune disease, aggravate skin inflammation and sensitivity. Matching my DNA report with my skin consultation, I got low in Anti-Oxidant and Calming elements. That's why you can see I have Anti-Oxidant face cream (A) and Calming face serum (C). I'm very happy with my new routine, but always remembering even using the most amazing products we need to have in mind to keep healthy habits, like healthy food (away from sugar and fries) and drink water (aprox. 2,5l per day)! 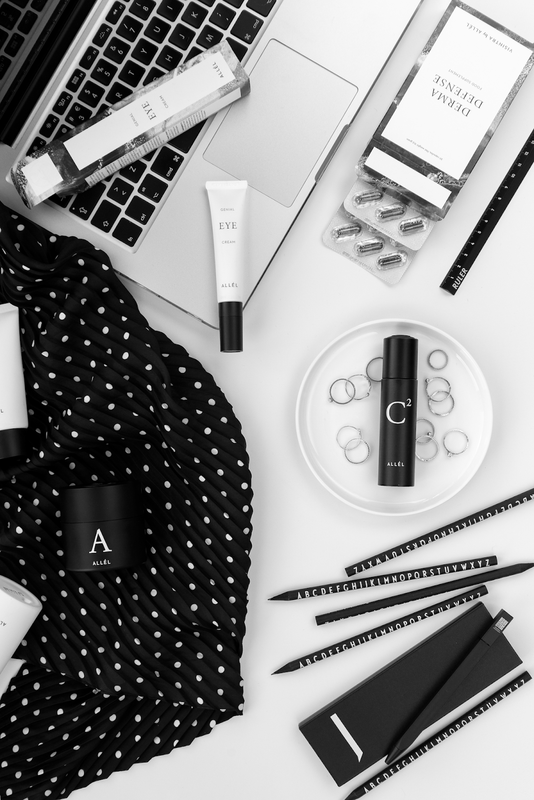 Our lifestyle, what we eat and drink will reflect in our skin, in the way we age, that's why, with the ALLÉL® skincare programme we can find tailored nutritional supplements too. Very innovative this skin and healthcare brand, don't you think?! 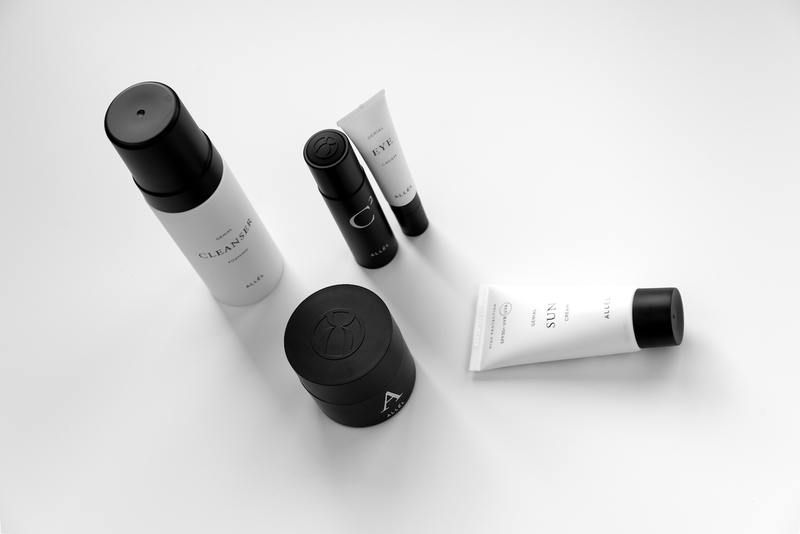 - the full range of ALLÉL® products: Genial Eye Cream, SPF and Cleanser, the DNA matched Serum, Cream and Nutritional Supplements, this box should last 3 months. The products are available to buy individually too.